She Writes Press, 9781631522925, 256pp. In 1984 Connecticut, sixteen-year-old Hannah Zandana feels cursed: She has wild, uncontrollable hair and a horrid complexion that she compulsively picks, and as if that weren't bad enough, her emotionally unavailable parents mercilessly ridicule her appearance and verbally shame her. Wanting to change her pathetic life, Hannah attempts to impress a group of popular girls--an ill-fated effort, except that she captures the attention of Deacon, a handsome and mysterious boy who also happens to be her school's resident drug dealer. Suddenly, Hannah's life takes an unexpected detour into Deacon's dangerous and seductive world--but when her relationship and family unravel around her, she is forced to reexamine what she believes about herself and the people she trusts the most. Perfect for fans of Our Chemical Hearts by Krystal Sutherland, 13 Reasons Why by Jay Asher, and All the Bright Places by Jennifer Niven. 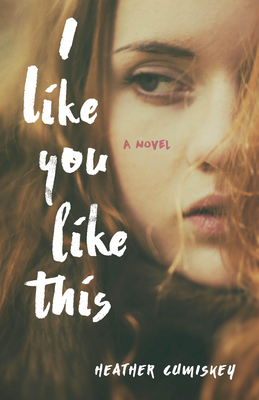 I Like You Like This is the first book in a poignant young adult duology about addiction, sexuality, peer pressure, and first love.